Županski stol can be translated as a municipal or public table. Often made of simple rectangular or circular stone slabs set on stone pillars, this is where important community decisions were taken by a town's decision makers. 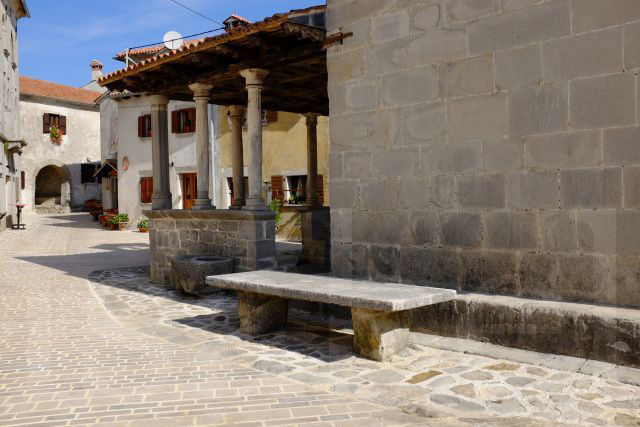 You can still see these old stone tables in many places across Istria. I've now reached the last letter of the Croatian alphabet and the end of my Istria abecedary! I hope you enjoyed it and learned a little bit about Istria along the way. Thank you Linda! Wishing you a fabulous 2017!